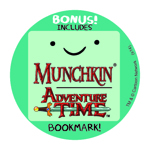 Of course you want the Official Bookmark of Munchkin Adventure Time! It's super algebraic. Well, now you can get it! If you see such a core set, it's got an Adventure Time Bookmark in it. Just buy it and enjoy your bookmark! Of course, a lot of you already have the core set, and we want you to be able to get the bookmark too. 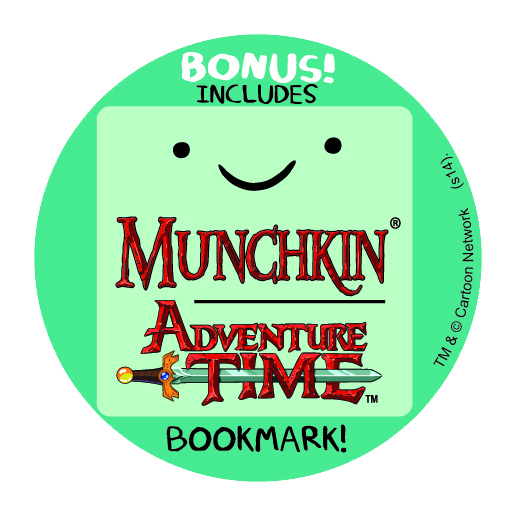 If that's you, then you should know that we're also going to be including Adventure Time Bookmarks randomly in Warehouse 23 orders for the indefinite future! Oh my glob! And don't forget to pick up Munchkin Adventure Time from USAopoly this summer!